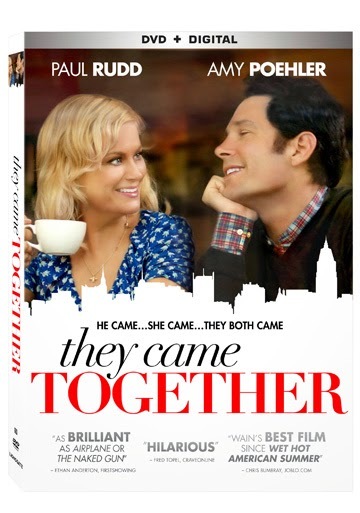 From the director of Wet Hot American Summer, Wanderlust and Role Models comes a hilarious and irreverent subversion of the romantic-comedy genre: They Came Together, arriving on Blu-ray™ Disc (plus Digital HD), DVD (plus Digital) and Digital HD September 2 from Lionsgate Home Entertainment. The film is also currently available via Video on Demand and Pay-Per-View. 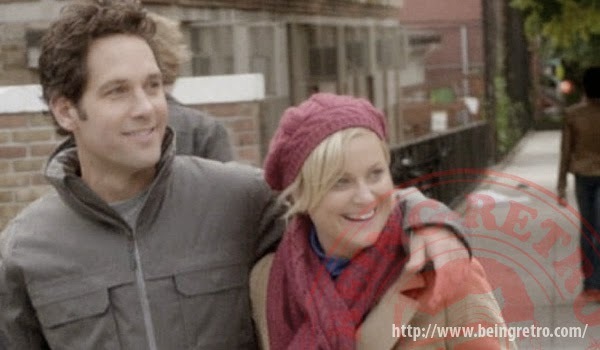 This laugh-out-loud comedy features an all-star cast including Paul Rudd (Anchorman, Role Models), Amy Poehler (TV's "Parks and Recreation," TV's "Saturday Night Live"), Cobie Smulders (TV's "How I Met Your Mother," The Avengers), Christopher Meloni (TV's "Law & Order: Special Victims Unit," Wet Hot American Summer), Max Greenfield (TV's "New Girl," Veronica Mars), Bill Hader (upcoming The Skeleton Twins, TV's "Saturday Night Live"), Ellie Kemper (TV's "The Office," Bridesmaids), Jason Mantzoukas (TV's "The League," Neighbors), Melanie Lynskey (TV's "Two and a Half Men," The Perks of Being a Wallflower) and Ed Helms (TV's "The Office," The Hangover franchise). The Blu-ray Disc and DVD both include a "making of" featurette, an audio commentary, deleted scenes, and a table read from San Francisco Sketchfest.